Solve now recognizes Google as a trusted Identity Provider. 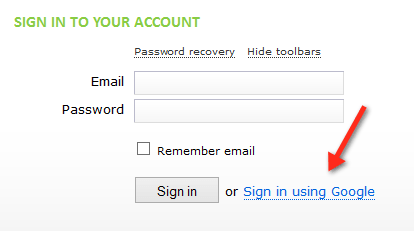 With this new feature users can login directly to their Solve account using a secure Google authentication process. This login option is also offered in the iPhone, mobile application and iPad touch/tablet applications. If you manage your team’s Google user accounts you can now centralize access control within Google and no longer need to issue or manage Solve passwords. Your Google and Solve email address must match. Authentication to a Solve account is as secure as access to the Google account itself. Google’s enhanced 2-step verification adds an extra layer of security and is highly recommended. Always use best practices to keep your online identity and password secure.